Diabetes Bingo is a program developed by Gail Gardner of the White Earth Tribal Diabetes Program. Along with Paulie Neison, who happens to be an amazing artist, she created an interactive way for diabetes patients and their families to learn about diabetes and how to take care of themselves. One of the props that Paulie made! Behind the scenes set-up of bingo. Playing cards and containers of tokens. More props to illustrate the difference in blood flow in a person with uncontrolled diabetes and a healthy person. Devin picking the winning bingo. A beautiful union of bingo and diabetes education. Sneak peak at some of the prizes people could win! Today may have been our most productive day since coming to Cass Lake. Ben Dropkin and Jidi visited the Indian health advocacy specialist at Sanford Hospital (staying for half-a-day each), while Ayo and Margaret shadowed providers at Cass Lake Indian Health Clinic. Sanford is a gorgeous hospital with 118 beds located in Bemidji, particularly in contrast with the local socioeconomic situation as we know it. Vikki Howard is the advocacy specialist, and she couldn’t have been more warm and generous in taking the two of us around the hospital and showing us the different departments, introducing us to providers and patients, and explaining to us the local state of health care as well as various aspects of Native American culture, language, and history. For example, it is believed by many Indian patients, particularly the elderly ones, that we are constantly surrounded by spirits, both good and evil; the good ones, which include deceased family members and friends, must be welcomed, while the evil ones need to be warded off with much effort. Similarly, it is believe that traditional medicine, such as different types of plants, need to be worshipped and communicated with in order for them to be effective; as Vicky said, “We need to build a relationship with the medicine, before it works for us.” The entire session with Vikki offered an insightful perspective on health care from the nurse and social worker’s side, as well as a fascinating and honest introduction to the Ojibwe culture. Post-shadowing, the four of us grabbed a quick bite with the one and only Shawn O’Leary and his dad at a casino restaurant (where Ayo had a stack of BBQ ribs to warm up for his actual dinner at a Chinese buffet 2 hours later). Afterwards, we got working on the real reason why we were at the casino: to run a blood pressure screening for the casino patrons and (covertly) perform motivational speeches. After much confusion in the beginning with the security guard as far as who we were and why we were there, we got a table set-up in the back for the casino employees, and a table upfront across from the main entrance to catch the patrons as soon as they enter. We worked from 6~8pm, and screened more than 50 people of all ages (that can legally enter the casino). We even (almost) got a couple of people to quit smoking for good (no guarantees, but we did our best.) I suppose it wasn’t a surprise that just about everyone smoked, some even while pregnant or with young children at home. Interestingly, folks who had hypertension were much more reluctant to participate, while those who know that they have healthy BP were much more eager to join us. I suppose it is human nature to want to ignore problems that you know full-well exist and try to pretend that they are not there by not partaking in activities that blatantly remind you that, yes, you indeed have those problems and that they carry serious consequences. Alright, enough blogging for one night. It is 10:28pm as I type this sentence, and we need to be up at 6am for a presentation for middle schoolers on measures one can take to eat more healthily (clearly a major lifestyle challenge for many if not most local residents that we’ve encountered.) Good night! Today Tony and Mildred went to the Vermillion Clinic, which is a small clinic about one mile away from the Fortune Bay Hotel and Casino. We shadowed Dr. Charles Helleloid and had the opportunity to see some dental procedures. This facility only has two exam rooms, one of them only used for simple surgical procedures. The staff can also draw blood, but they have to take the samples to Nett Lake in order to analyze them. 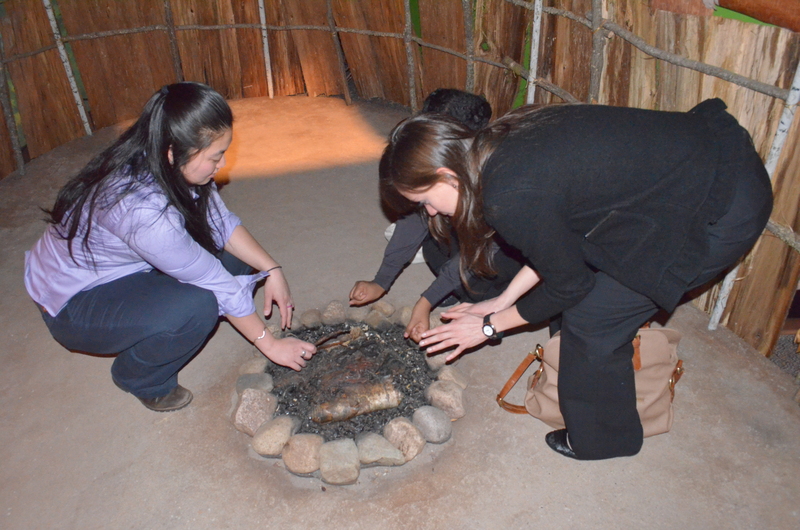 Here in Vermillion, we were able to interact and learn from Ojibwe patients that belonged to every age group: children, young adults, adults and elders. It was an excellent experience to be able to observe what a whole day runs like. As stated before, we also saw a couple of dental procedures. 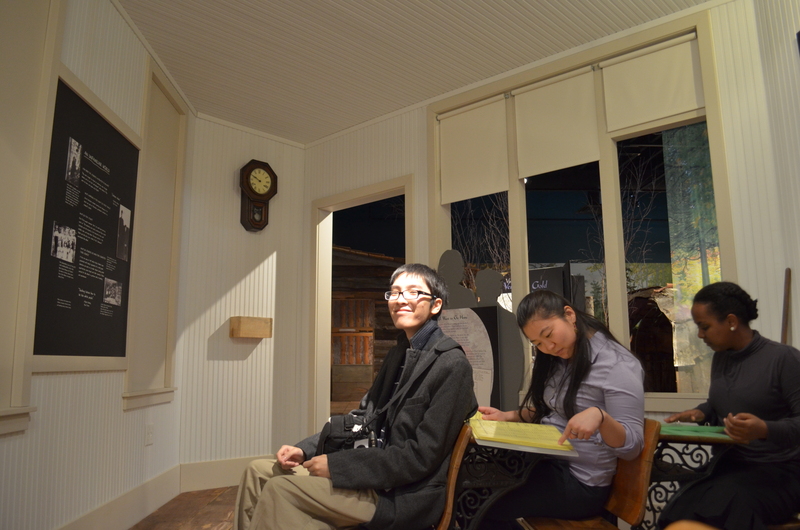 Both of them involved anesthesia administration. This was actually pretty interesting, for we got to review the anatomy we learned on winter term (yes, superior and inferior alveolar nerves, long buccal nerve and the mental). We had lunch offered by the site, delicious food, which was prepared not only for them, but specifically for the Vermillion elders. After visiting the clinic with Dr. Helleloid, we went outside to a beautiful 60°F weather. 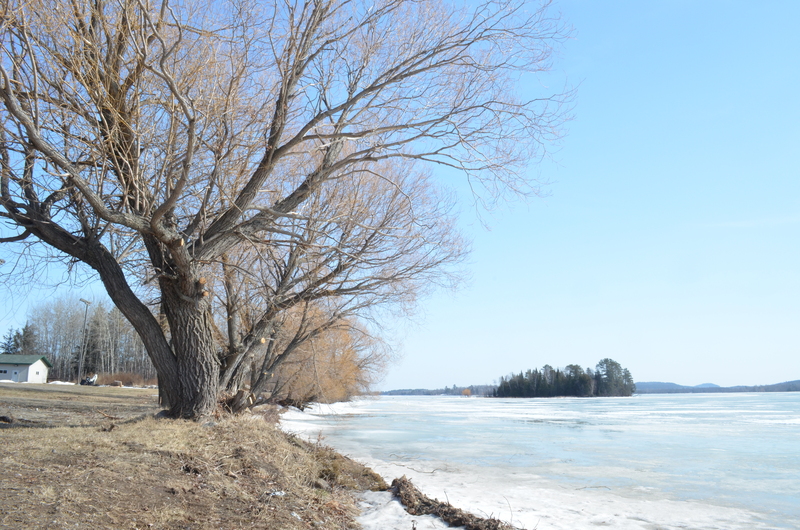 Behind the clinic was the frozen Lake Vermillion with its 365 islands. During the winter, the ice can be 3-4 feet thick, enough for trucks to drive on. Shawn O’Leary’s uncle, Bernard drives 20 miles on conventional roads to get the mail. With the frozen lake, he can take a short cut and drive 6 miles. After taking a few photos of the lake, we walked a few feet from the clinic towards the Vermillion fitness center where Bernard works at. 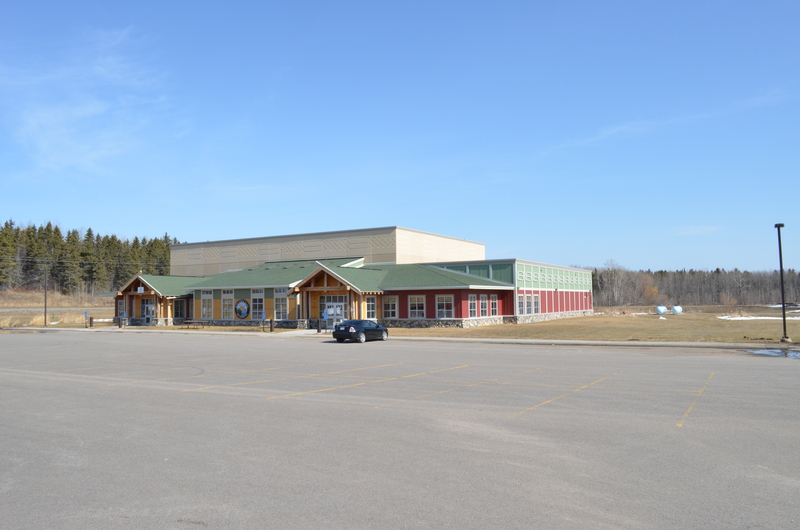 The facility, built in 2006, includes a gym, a basketball court, a sauna, zumba dance classes, and a recreational center for youths. The facility is free for all native Band members. For $30 a month, 24 hour access to the facility can be obtained. In addition, the Vermillion fitness center awards a pair of Nike running shoes specialized for Native Americans for every 52 miles walked. Bernard has a won a few pairs already. We then talked to Bernard about life at the reserve. He noted that one of the coldest temperature recorded in American history took place in Tower, MN at -60°F in February 2nd, 1996. He remembered a time where it was so cold, that when he went to spit, it froze in mid air and cracked on the ground. He also mentioned that the Hull-Rust-Mahoning Mine, the largest open pit iron mine in the world, was nearby in Hibbing, MN, providing a quarter of all the iron ore mined in the United States during World War I and II. Bernard also spoke about how hunting is a favorite past time of Native Americans. He helped with hunting a 2000 lb moose that was outside the Vermillion clinic in the snow. Bernard’s co-hunter readied his rifle and fired. The moose survived the shot; angrily charging towards Bernard, its head lowered, its antlers readying to impale its attackers. Bernard’s co-hunter fired again, only to discover that he was out of ammo. Bernard threw him a shell and the hunter reloaded faster than he ever had in his life, pulled the trigger, the moose fell, sliding towards them. After that encounter, Bernard and 5 other friends came to prepare and clean the moose. Bernard shared the meat with his friends and family, noting the importance of sharing in the tribal community. Meanwhile, Sara and Mai went back to the Bois Forte clinic to shadow Dr. Ray Hawk and the maternal care nurse practitioner. Shadowing Dr. Ray Hawk is an excellent example of how rural health works. He knows every one of his patients at a personal level, and remembers the patients’ last visit as if it was yesterday. He knows their family and occupational history as if he was talking to one of his friends that he hasn’t talked to in a few months. The ailments that he sees in the clinic is not necessarily any different from what we see in New Hampshire. He even has patients who call in to say that they “dropped their pain medication in the dish water.” Which are the same exact problem that clinics have in NH as well. The only difference we’ve noticed is that the majority of patients are native, and that diabetes are more likely to be on top of the physician’s minds as they look at patients. Sara spent the morning shadowing Jill, the maternal health nurse practitioner (NP) and Paula, the medical lab technician. Jill also goes to the Vermillion Clinic once a week to provide care at the satellite location. As the only maternal health NP in the reservation, she provides health care to a wide range of patients – from infants to post-menopausal women. One thing we have seen over and over again at the reservation clinic is that people have more than one hat. They try to cover a lot of ground with the limited amount of employees they have. They only have one lab technician that runs all the tests and if she is not in, then the nurses have to extend themselves. Or when they didn’t have a pharmacist, the physician had two hats. Even with the overload of work and responsibility, they try their best to provide the best care to their patients. The doctor-patient relationship here is truly a dynamic one. The group joined back together in the afternoon to visit the heritage museum. 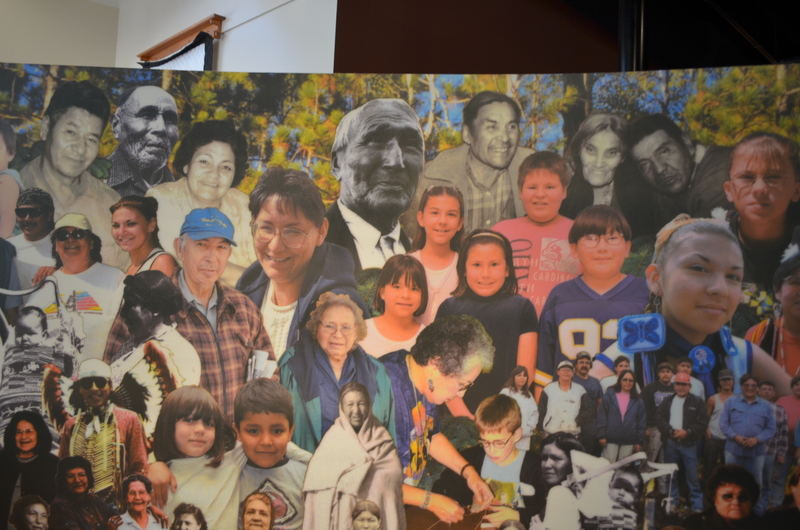 At the entrance of the museum, there was a collage of Ojibwe people. We were able to identify Loretta in the mural, with whom we had dinner last night. The museum showed us the history of the Bois Forte band, starting from how the people settled, which was the story that we heard from the recording of Gene Goodsky earlier in the day. The museum also had dioramas of teepees, and the boarding schools that the older generation of Ojibwe were sent to. Seeing the dioramas helped us have a better image of the history that we’ve been listening to throughout the trip. Today is actually a very special day for us. It is March 14, 3.14…. Pi day!!! 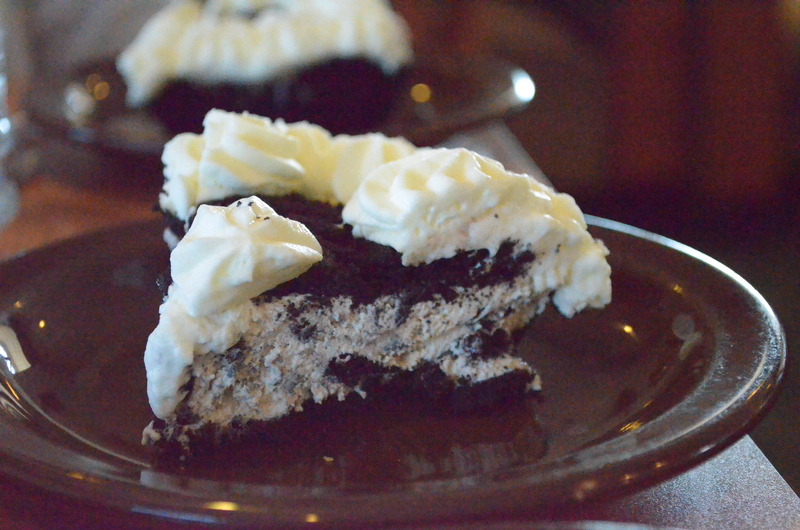 So of course, we had to go find pie. Terri told us earlier in the morning that the Village Inn in Virginia is the place to find over 20 different kinds of pie. After our home health visits with nurses, Emma, Francis, Devin, and Shirley headed to the White Earth Reservation Tribal Council building. Just look at how we glow! This building is absolutely gorgeous and so much sunlight was streaming through the huge windows. Because the building was situated on a hill, you’re able to see in all 4 (or maybe just 3?) directions. We were told that the patio area is used to hold outdoors events. There were also tons of glass cases of Native American art, clothing and other artifacts. 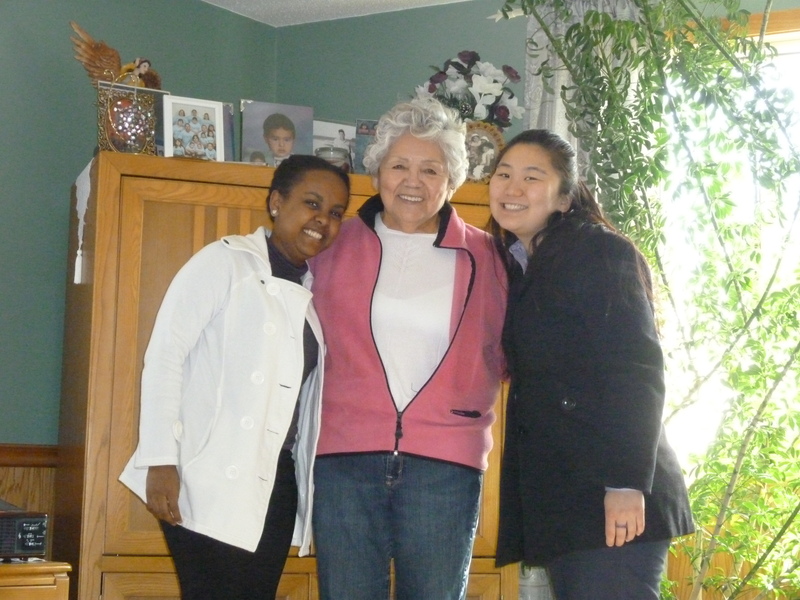 Today, Shirley, Emma, Devin, and Francis spent the entire day shadowing home nurses. This is an important program for patients who need care but aren’t able to make it to the clinic. For some of us, the homes we visited were very close; Shirley visited some patients of the senior housing center pictured above, which was a stone’s throw away from the White Earth Indian Health Service. For others, a large portion of the day was spent traveling. It wasn’t a high-yield day for pictures, as we spent most of the day in individual homes, but we all had a great experience chatting with patients and seeing the work that home nurses do. Tonight, we were in America – or at least what Ben Dropkin thought to be most of it. We drove through Choppowa national forests and saw two eagles and 2 white herrens. We partook in the culture of the quintessential Midwest, as represented by the taste of Golden Light. 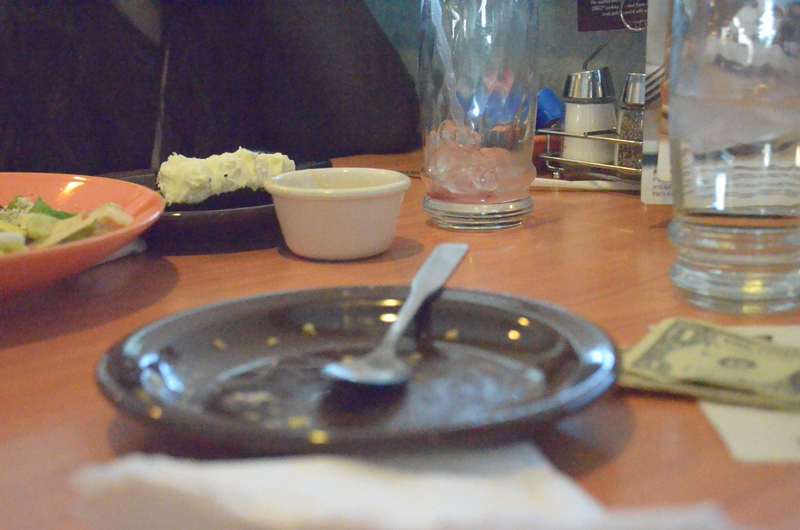 Ultimately, we chose to go to applebee’s, expecting an outrageously large quantity of food, at an outrageously low price. This is what we found. Our neighbors of twenty-odd students from Bemidji State University celebrated the wonderous occasion of the birthday of a colleague with the killer deal of five-dollars of burgers, wings, or pitchers. Maybe not, but that’s what we did. Now the four of us are back at the super 8 motel room, being thankful for our lives in Hanover. Room 123. We started the day with a tour of the minoayawin clinic and had a chance to speak with health workers about the health care state of the area and the strives they have made since their establishment in the 1980’s. The program had some very innovative treatments, including brain wave synchronization therapy. We had the chance to listen to presentations by the local diabetes and lifestyle health care specialist about the prevalence of diabetes and obesity affecting the local tribe members, as well as the from the clinic managers about the epidemiology of Native Americans. It was a very productive and informative session for everyone, and we have gained new-found respect for the local health care providers for the difficulties they have to overcome on a daily-basis. After grabbing a quick bite at Erbert’s and Gerbert’s, we headed to the Ojibwe school that teaches grades k through 12. We were given a tour of the school by a crew of high school students and their mentors, and a few us even got a chance to be interviewed by the school radio station. We spent the first part of the afternoon giving a talk on synthetic marijuana, and another on how to go about getting to college; subsequently, we divided into 4 groups, and gave fun presentations on cells and muscles to the kids from grades 5 to 8. We even got a chance to do some fun physical examination bits, listening to the heart, tapping for knee reflexes, and what not. Meanwhile, a few students took a observatory trip to the local substance abuse center called Mash-Ka-Wisen; a treatment center owned and operated by Native Americans that uses cultural practices in the treatment of chemical dependency. 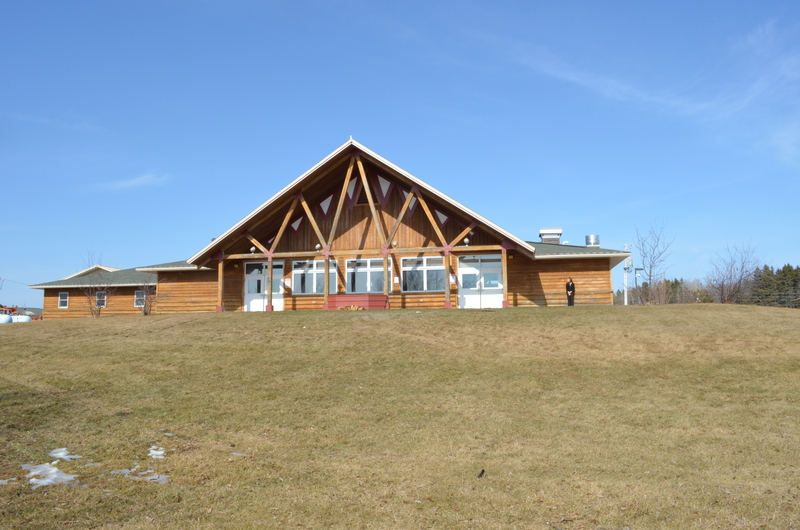 We spent today at two very different clinics that serve Native Americans in the Cass Lake area. 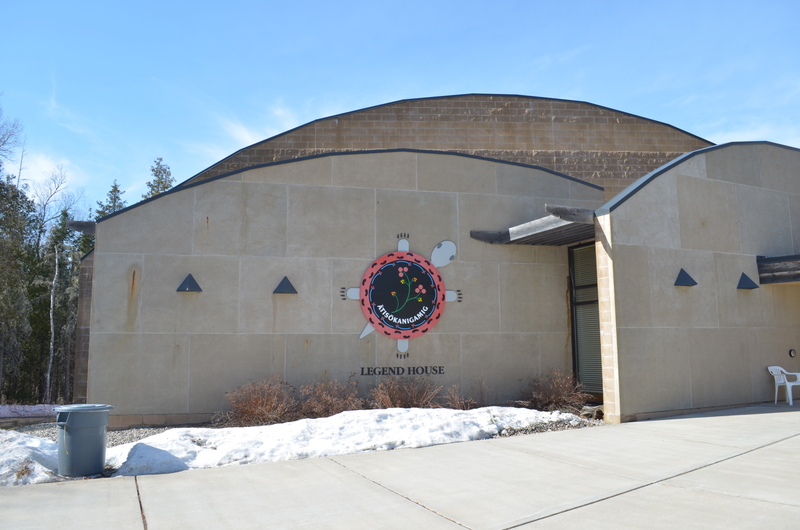 Cass Lake IHS is the primary care facility for Indians on Leech Lake Reservation. It also runs a dental clinic, and a pharmacy. Internists, family med docs and pediatricians work in coordinated teams with nurses, pharmacists, and social worker. The want to have a mental health provider on each team, but they can’t recruit them. Right now they have a social worker who is trying to cover mental health for the whole clinic. In addition the lack of access to mental health care, we also asked about detox facilities for alcoholics. We found out the only facilities in this part of the state is several hours away, and often full, so they have to send patients home if their withdrawal symptoms do not justify admission. They also have to come up with transportation to the detox center in many cases. Sanford Clinic Bemidji is a private hospital 25 minutes away from Cass Lake. Patients are referred to Sanford from both the Cass Lake and Red Lake IHS facilities. Some students shadowed Vikki Howard, an Indian Advocate who serves as a social worker for Indians, who make up 25% of the patient population, and a cultural awareness educator. Vikki gave us a presentation about Ojibwe healing traditions. Then we ate Mexican. It was good.